The woods, such a vast and quiet place, but one which we feel safest. The boys can run freely without fear of getting hurt. They climb trees, run off ahead, find paths and places we haven't explored before and no matter how many times we go there is always something new to see. 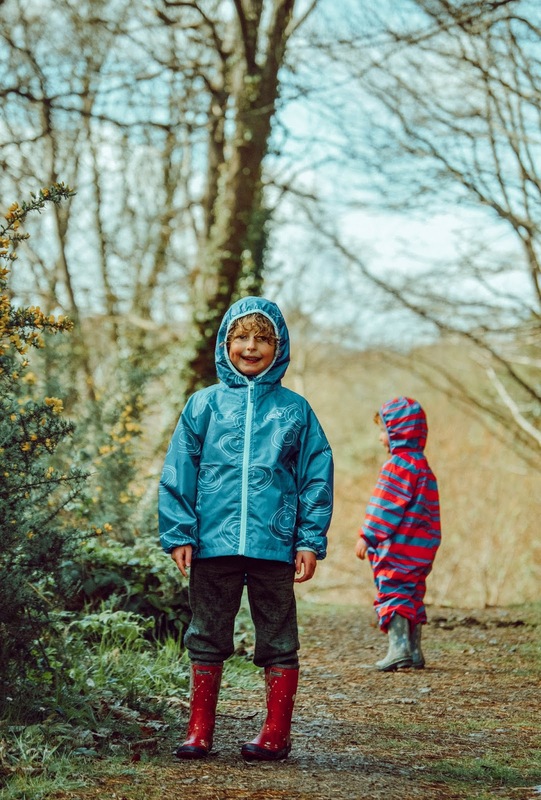 I'm rather proud of myself for raising children who ask to go to the woods, glad to be the mother of kind-hearted little nature lovers, who are just as wild as the landscapes we find ourselves in. When I'm having a bad day or it's all getting too loud, messy and much as home, I bundle them up into the car and off we go to the woods for a bit of energy burning, solitude and quiet beauty. 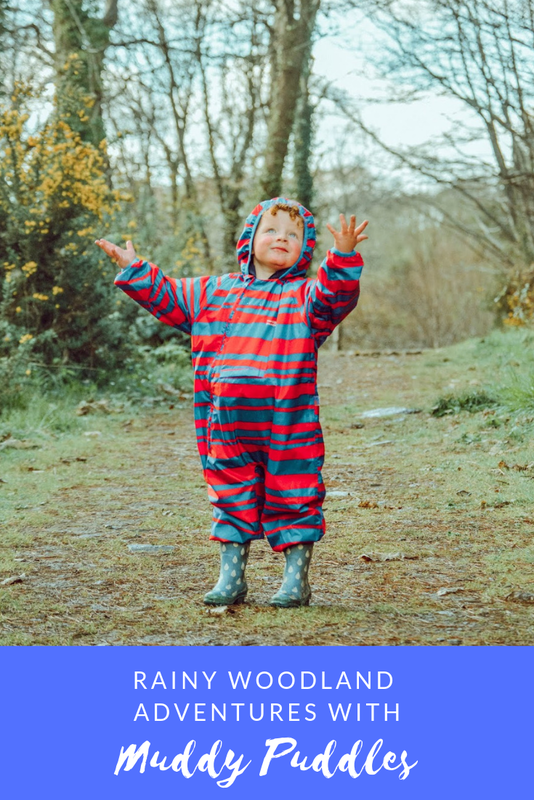 I always want the boys to be warm, comfortable and as clean as they can be when we're out and about and one brand which never fails to let us down is Muddy Puddles. We've had many Muddy Puddles products over the years and they've really been through the mill with mud, rain, water, sand, stones - you name it, they've been exposed to it, yet they still look as good as new. The boys were sent some new products from the Muddy Puddles range last month and although I wasn't asked to write a blog post, I think it's important to applaud brands who are amazing and who really offer great products - plus, it's been awhile since I shared some of my photography on the blog and I wanted to remember this rainy trip to the woods with the boys. 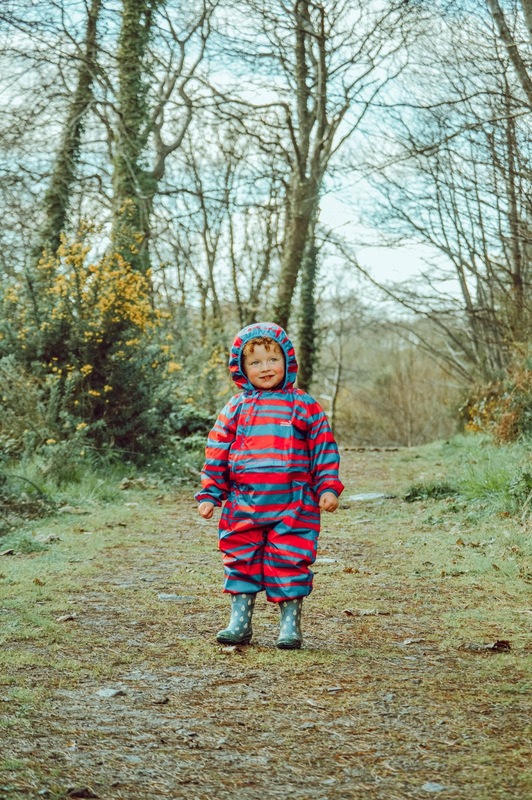 Beau is wearing the Puddlepac Lined All-in-One (£32.95) and this is a great option for spring. It's insulated enough to keep him warm but light enough to wear on a balmy day. I'm a big fan of these all-in-ones because they keep him clean and dry from top to toe and I simply unzip him out of it when we get back to the car and he's ready to go home. It's hassle-free and comfortable for him to wear. This is available in 0-4 years and Beau is wearing a 3-4. Tyler is wearing the Waterproof Puddlepac Jacket in Navy Puddle Print (£24.95). This is a super light jacket that is perfect for the late spring and summer months on rainy days. It kept Tyler nice and dry through the rain showers during our walk through the woods and he really likes the puddle print on it. This is a handy jacket to keep in the car and through on for an impromptu adventures we have. This is available in a size 12 months to 11-12 years and Tyler wears a 7-8. Both of these items have been washed and wash really well too, which is always a good plus seeing as they will get dirty, a lot! The boys wellies are also from Muddy Puddles and were gifted to them last year and are still going strong through all the adventures they've had. 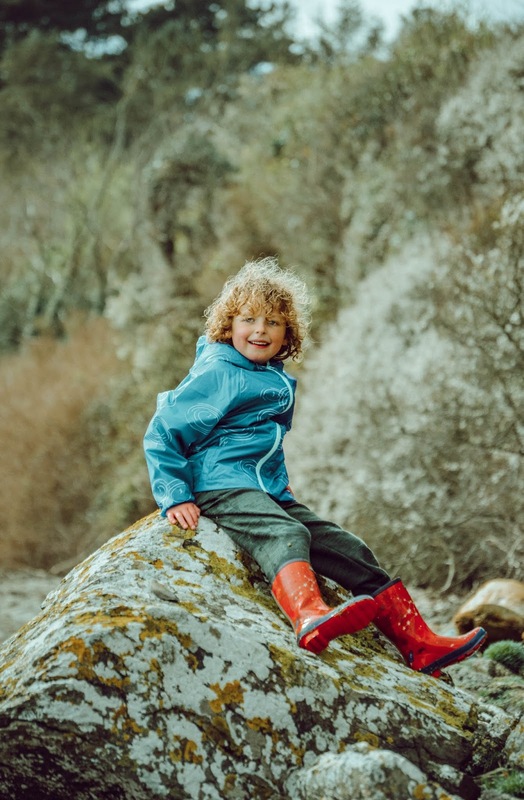 Muddy Puddles clothing and wellies are all fabulous quality and eco-conscious too, with products being made out of recycled bottles. 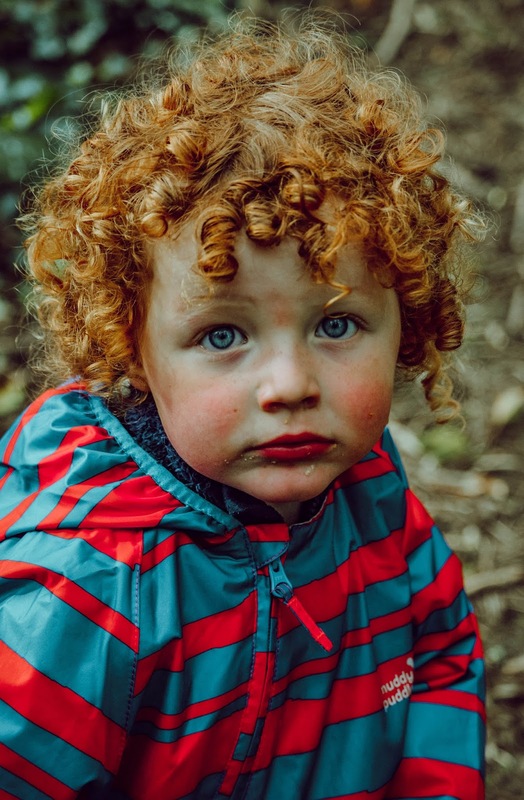 It's amazing to see brands caring for the environment, especially one with such a huge focus on the outdoors and children. 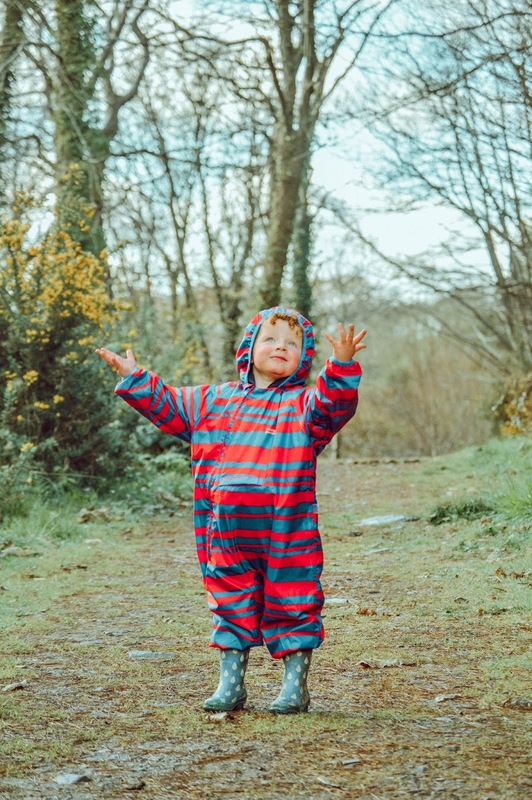 If you're looking for kids outdoor gear that will stand the test of time then I can't recommend Muddy Puddles enough - and I have NOT been paid to say that. I absolutely hate as a blogger that I have to give that disclaimer when it comes to everything... this is a brand and these are products the children and I genuinely love, it's as simple as that. This trip to the woods was so lovely. After the rain showers we were treated to some gorgeous, warming sunshine so we walked all the way down to the beach. The boys enjoyed the rope swing down there and climbing the rocks as if they were part of the Famous Five - only minus three! The woods is always my go-to place when I need the boys to blow off some steam. It's simple, there's no fuss about it. I simply pack a picnic and off we go. 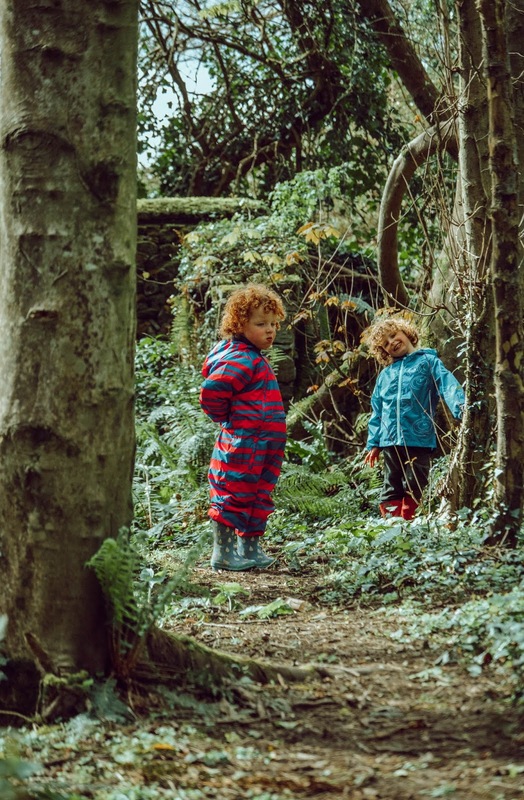 They make their own fun, collecting little bits of natures on their way and making their own games and imaginative play out of it all - it's the way childhood should be really. I envision us spending a lot of time in the woods over the upcoming Easter holidays. 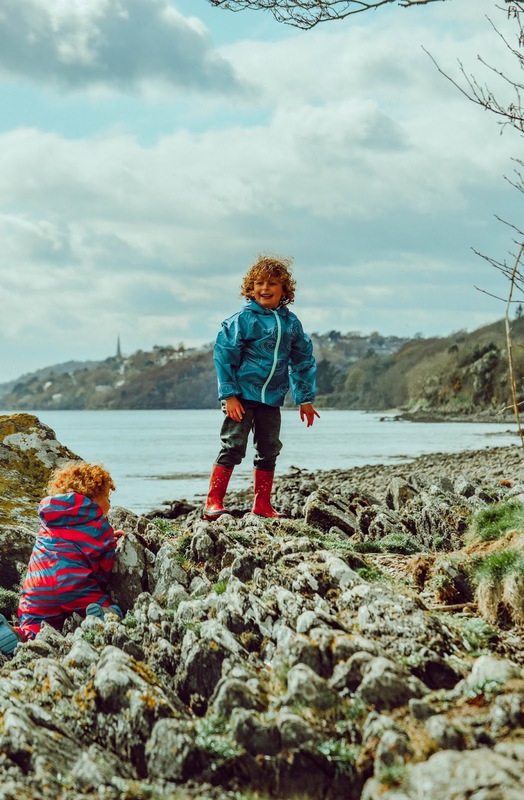 We're lucky that on our island they have two to choose from - one with fairy doors, wooden dens, a view of the cow field, the swing that goes towards the trees and another with ruins of old houses, the beach and the rope swings. Both places just as fun as the other. We're a family of outdoor lovers and these little outings mean so much to me. Not only are they great fun for the boys, but they're a great tonic for me too. You can see the other Muddy Puddles products the boys have been kindly gifted over the years here.